Ira sends us a super cute pattern of her good friend Anna! 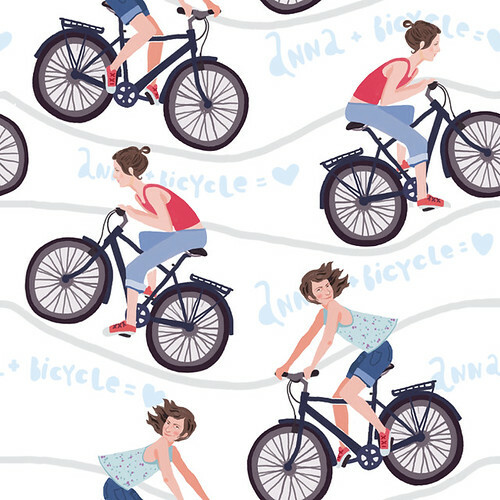 She loves bicycles just as much as we do! "I would like to dedicate this pattern to my friend Anna. We are both architects and she loves to ride her bike all the time. Even the theme of her diploma work in architectural design was a cycle track! I really like her passion for bicycles! It helps her keep fit and keeps her in a good mood!"